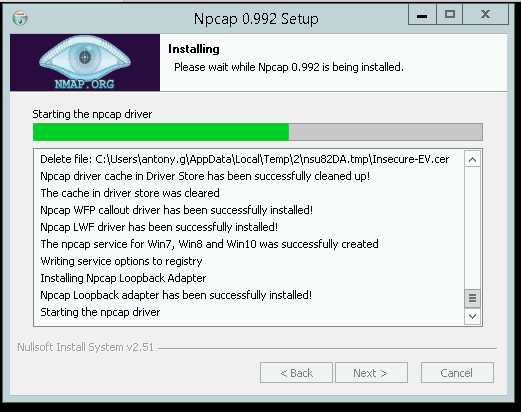 Hi, as per subject, trying to install Npcap 0.992 on a Windows Server 2012 R2 hangs. Screenshot below. This was after a reboot, as I had an older version installed which hung when I tried to remove it. Is there any way to debug this issue? I'd like to test Suricata, but unfortunately I can't.